I was not at all expecting the tide of emotions on Thursday. Our workplace had a visitor, someone who does similar work to ours in Stockton, California. We had the chance to hear about his ministry, his family, and ask questions. He, along with his wife, son and daughter, live in the inner city. From what he described, his inner city could beat Lexington’s inner city in a game purely based on roughness. His family lives in community, meaning they share their home space with other people. I won’t go into great detail about the ins and outs of what they do vocationally, but I will share what struck me deep down. During the course of conversation, our boss mentioned a trip he’d taken to Stockton a few years back. He and another one of our Directors were there together and ate at a Marie Callender’s. We do not have MC’s in Kentucky. I haven’t eaten at one since my husband and I visited Los Angeles in 1994. It was the summer after he graduated seminary and we were looking for a full time ministry position. We flew out to meet with people at an inner city church there. Our hosts took us to MC. It wasn’t a great meal. For various reasons, after returning from our visit, we did not pursue the position in LA and ended up in Huntsville, Alabama instead. Anyway, my point in this entry is not regret because we didn’t move to California in 1994. The point is what our visitor, Dave, described. A brothel across the street from their home. Numerous human trafficking issues. Poor schools and messed up families and gangs. Hearing shots fired in their neighborhood on a regular basis. Honestly, it made me feel as though my life in Lexington’s [hood] is at a kindergarten level and his family is in 11th grade. Interestingly, my eyes teared up at one point. I have not cried over something like this in quite some time. I honestly was ready to move to Stockton once my daughter graduates high school [and if I can talk my husband into it!]. Sure, one could say I was caught up in the moment. But these people are living what they believe. Having a couple days to process my feelings, I realize at the core of it all, I don’t feel like I’m doing enough. My life, where I live and eat and breath, is not important enough to those around me. I am not making enough of a difference, so I need to take another step. Move. One murder at a neighbor’s house doesn’t cut it. I need to be somewhere where I hear shots every night. Witnessing a prostitute solicit a guy on a Saturday afternoon? Sure, I’ve seen it happen, but I don’t think I live across the street from an organized brothel. Dead guy found in our neighborhood pool? Yep, but we haven’t had an all out gang fight recently. I could gone on. But I won’t because I realize I am where I am. Whether it’s for a reason, I don’t know. Will I relocate to inner city Stockton in four years? Doubtful, but who knows? Should we have taken the LA job years ago and not gone to Huntsville? There’s no possible way to know for certain. The point is I need to be content. After all, upon waking up this morning our son reported seeing multiple police cars across the street last night. Another thought regarding meeting Dave is this: I so wanted to spend time talking to he and his wife. Mainly his wife. I was able to meet her briefly, but I wanted to ask her all the questions that only someone who was once living a comfortable, relatively calm middle class life but finds herself miles away from that can understand. A woman raising her kids in what society deems an unsafe environment. I’ve read books. I’ve met people. But I so rarely get a chance to chat with the [all-in] crowd. Especially fellow mothers and wives. I equate it with a doctor’s wives club or the Newcomer’s Club I belonged to when we moved to West Virginia. People who get you. People who don’t find your decisions odd or questionable because they’re living the same thing or at least a very similar scenario. 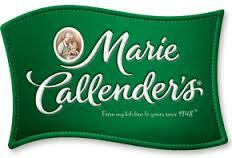 Before Dave’s family left, they assured us they don’t eat at Marie Callender’s, which for whatever reason was reassuring to me. They prefer the local places. Places where they can get carne asada and the restaurant workers know them. I realize I rambled a bit in this entry. It’s me trying to reassure myself, but I suppose that’s alright. We all do that at times, right?